Macarons — those small, meringue-like bites of sweet deliciousness — may be French in origin, but they're readily available here in London too. Not only do they taste great, they're colourful and extremely photogenic too, making perfect Instagram fodder. Note: macarons are different to macaroons. The latter are usually a coconut-based pastry, and nowhere near as pleasing on the eye. We were overjoyed when Anges De Sucre opened a Kensington shop in 2014, and equally as upset when it closed more recently. But fear not — it closed because the online side of the business was doing so well, so you can still get your sugary fix via the magic of the interweb. Focus is mainly on celebration cakes, but there are mountains of macarons too. The products are also stocked in Selfridges. This macaron specialist has an online shop offering all manner of flavoured goodies, including lavender, rose and raspberry daiquiri. You can have your macarons personalised with a design, or stacked in a macaron tower. Macaron baking classes are held at the bakery in London Fields. Belgravia, Covent Garden and Selfridges are home to shops offering treats by Parisienne chocolate specialist Pierre Hermé. 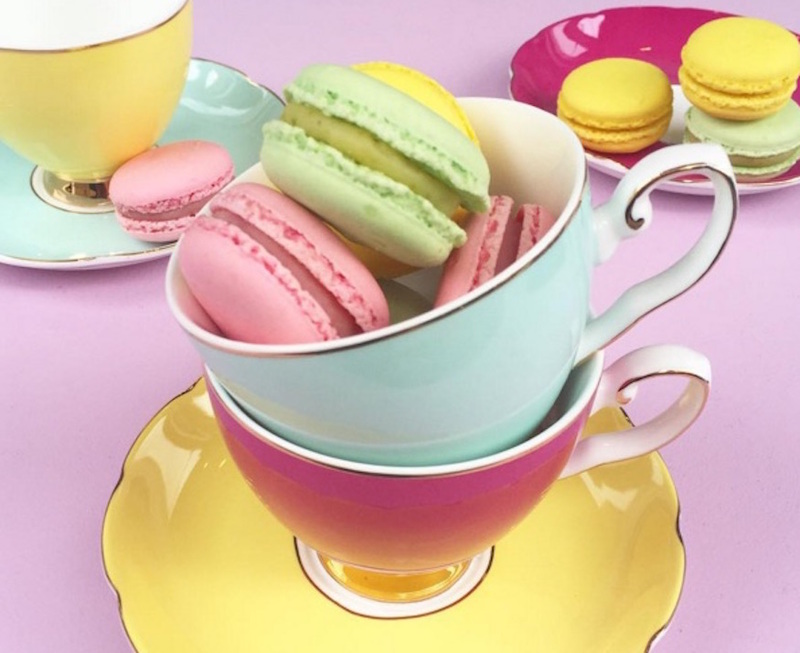 Macarons are another specialism, and although this Instagram account is not officially affiliated to the brand, it's macaron heaven. Lucky Muswell Hill dwellers have patisserie La Dinette on their doorsteps. Macarons are just a part of what the bakery does, along with choux pastry products, and canelés — custard based tarts from Bordeaux. Ooh la la! Gluten free macarons are available from Ohlala, and you can even specify which particular colour shade you require. And you can even get a photo put on the top. Best of all, they run classes which involve pairing macarons with martinis. Where do we sign up? Didn't think we were going to get through this whole list without mentioning the big mama of macarons did you? Parisienne brand Ladurée, known for its chocolates, sweet treats, and more recently, beauty range, has four London outposts. Best-known and most upmarket is the boutique in Burlington Arcade in Piccadilly, but you can also get your fill at Harrods, Covent Garden and in the City of London. Also worth a nod for your macaron needs is Comptoir Gourmand, a French patisserie with stalls at markets across London including Borough Market. Sadly it's not on Instagram (yet), so get all your drool-inducing pictures here in the meantime. Don't forget to follow us on Instagram too — you'll find us @londonist_com.